Michael Fassbender was born in Heidelberg, West Germany, on April 2, 1977, is an German-born Irish actor. 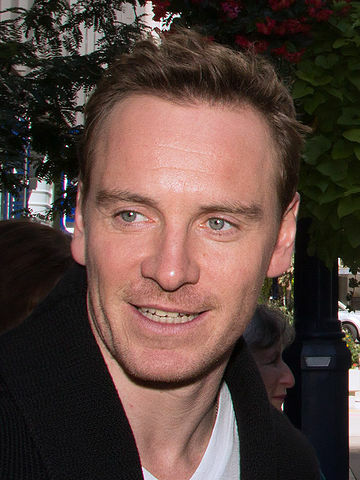 Young Michael Fassbender began his acting career on the stage, with the Oxford Stage Company. He made his big screen debut in epic war film 300 (2007) in role as Stelios. Fassbender's breakthrough performance came as IRA activist Bobby Sands in historical drama film Hunger (2008), for which he won a British Independent Film Award for Best Actor. He was nominated for the Academy Award for Best Actor for his role as Steve Jobs in drama film Steve Jobs (2015) directed by Danny Boyle. He received an nomination for Academy Award for Best Supporting Actor for his role as Edwin Epps in drama film 12 Years a Slave (2013) directed by Steve McQueen. He portrayed Marvel antihero Magneto in the X-Men film series: X-Men: First Class (2011), X-Men: Days of Future Past (2014), X-Men: Apocalypse (2016) and Dark Phoenix (2019). He played sentient android David 8 in science fiction films Prometheus (2012) and sequel Alien: Covenant (2017) directed by Ridley Scott. He began dating Swedish actress Alicia Vikander while filming The Light Between Oceans in 2014. He loves skydiving and motorbikes. Close friends with actor James McAvoy. He is a supporter of football club Liverpool F.C. Lives in London, England, U.K. and Lisbon, Portugal. I love to go into a movie and have no idea what's going to happen in it. Trying to identify and understand, as opposed to judging, is very important for me, in approaching characters. After 'Prometheus' I think I did six films back-to-back, and it's fine when you're doing them - OK, that's cool, I'll just go on to the next one - but it's actually in that downtime period where you stop and think, What's going on with me?